How to speed up burning DVDs? 1. It is advisable to select Fit to disk instead of High Quality for the output DVD. The higher the quality is, the more time the product will take to burn it. However, there will be some quality loss. 2. As the recording function is very CPU sensitive. Closing other unnecessary applications is advised. You can press CTRL + ALT + DELETE on your keyboard then select task manager to close other unnecessary applications. Make sure you save any work before you close an application. 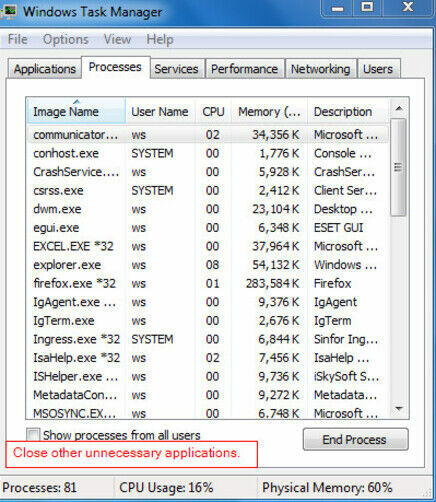 You can also use this link http://www.wikihow.com/Change-Process-Priorities-in-Windows-Task-Manager to help you prioritize the tasks in windows task manager. How to improve the output quality for burned DVDs? 1. Please make sure the video plays well on both your computer and in our program. 2. Update your DVD driver and make sure your blank DVD disc is compatible with the DVD drive. 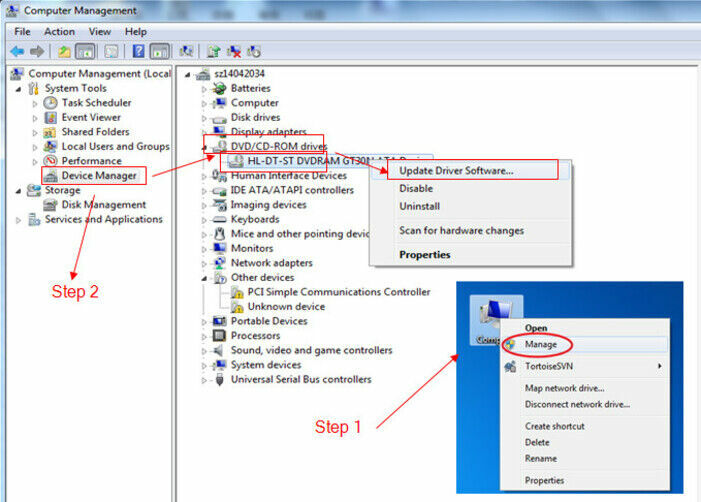 To update the DVD driver, simply right-click My Computer > Manage > Device Manager > DVD/CD-ROM drives and click the drive to update it. 3. Select video quality as High Quality from the options in the Burn to DVD window. If it still doesn't work, please tell us more details such as the DVD disc and DVD drive you’re using. Meanwhile, please send us the source video file. 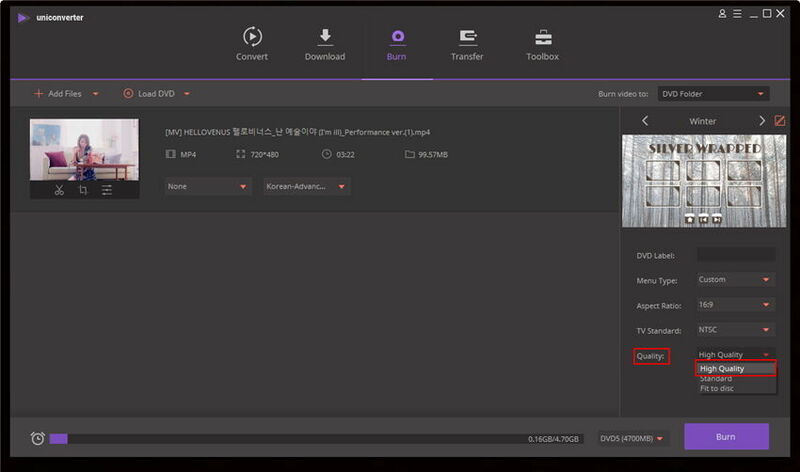 If the file is larger than 20MB, you can upload it to http://dropcanvas.com/ and send us the share link for downloading. How do I load a DVD into Wondershare UniConverter (originally Wondershare Video Converter Ultimate)? There are two ways to load the DVD into the software. 1. Click on Load DVD and select the DVD drive of your computer, and then choose the Video_TS folder and that will load it for you. You can then choose Main Movie or All Movies according to what you want to copy. To see the difference between these two modes, visit this link. 1. Once you have inserted a disc, you can select Load IFO Files > Video_TS and choose the biggest IFO file, which will contain the main movie. 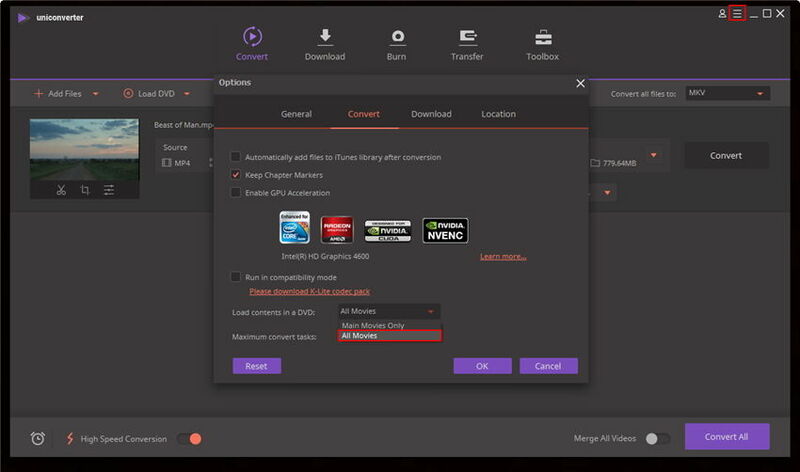 This will allow you to bypass some of the unnecessary parts of the DVD and decrease the conversion time. Tip: To find the biggest IFO file, right click (right mouse button) on the IFO, and choose properties to check the file size. How do I load all of the movies from a DVD into Wondershare UniConverter (originally Wondershare Video Converter Ultimate)? Click on the Load DVD button and then choose the correct source drive, and then choose the VIDEO_TS folder to load the disc. You will then get the following option as shown below to choose All Movies from the DVD. Tip: To make All Movies the default setting click on Menu > Preferences > Convert and then set the DVD Load Mode to All Movies. How do I copy my DVD to a new disc? Wondershare UniConverter (originally Wondershare Video Converter Ultimate) is not designed to do a direct copy from disc to disc. 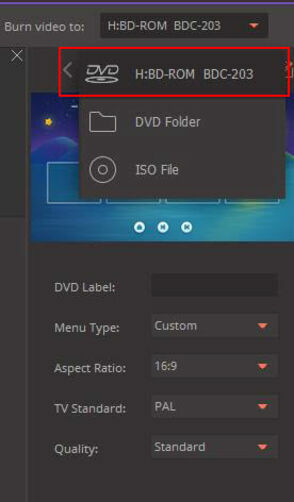 To make a copy of your DVD you will need to rip the DVD information and convert it to a common video file, then burn the converted file to a new disc. The steps below will explain the steps to do this. 1. Click on the Burn section, then choose Load DVD to load the DVD into the software. 2. Under Burn video to, select DVD. 3. Customize your settings for the DVD on the right side, and click the Burn button, load a blank disc to burn the video to the new disc.